These art prints come UNFRAMED. The preview images are examples of what the art prints will look like once framed. 50+ 5-STAR REVIEWS AND COUNTING! 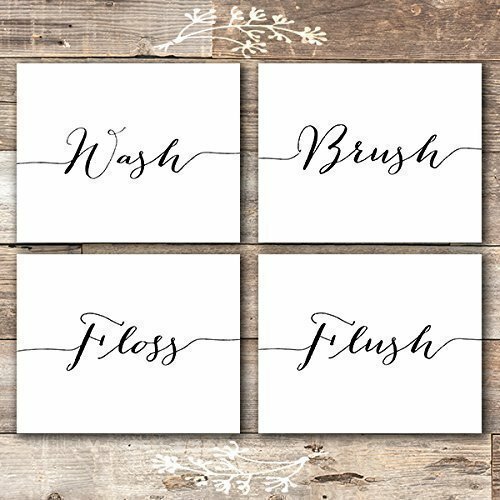 I'm so proud of all of the glowing reviews my amazing customers have already given this set, and be sure to check out the product review photos customers have posted to see how this beautiful bathroom wall art set could look in your home!